Covering everything Big History has to offer in just one school year can be intimidating, even to the best planners. But imagine if there were an activity that made you feel like you’d taught all 13.8 billion years of the course in a single day? 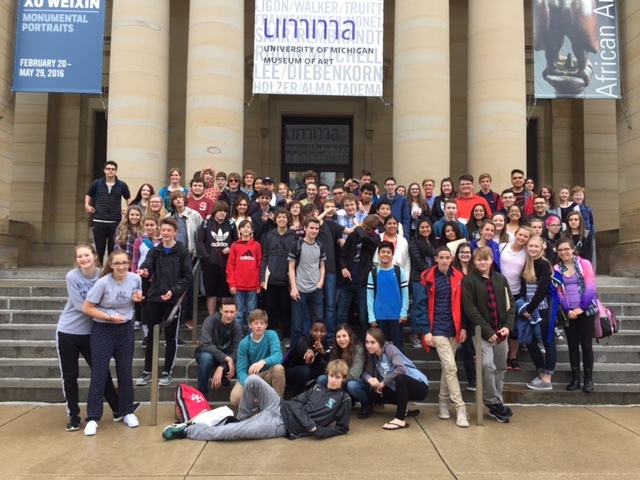 On last month’s jaunt to the museums at the University of Michigan in Ann Arbor, freshmen from Black River Public had their minds blown—as did their chaperones and teacher–during what we called the Third Annual Big History Extravaganza. 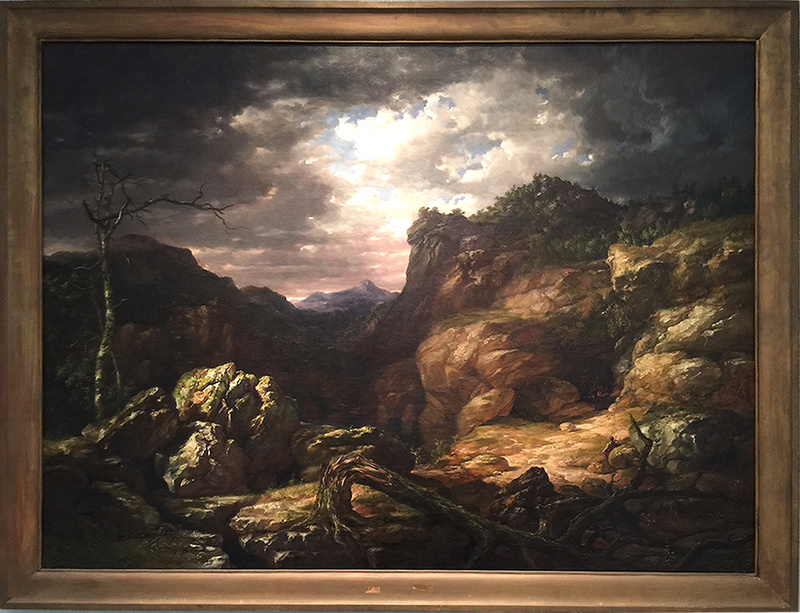 It’s no secret that a field trip can generate learning experiences not possible in the classroom, but to explore the University of Michigan’s Museum of Natural History, Kelsey Museum of Archaeology, and Museum of Art in the context of Big History is to hop from one threshold to the next at a fantastic pace. For example, students were able view and even touch a 4-billion-year-old rock, and suddenly Unit 4 (Earth and the Solar System) became more tangible than it had ever been. In the Museum of Natural History, displays of the earliest life forms, the transition from water to land, early amphibians and dinosaurs, the rise of mammals, and earliest forms of humans hurled students headlong into Unit 5 (Life). At the Kelsey, Unit 7 (Agriculture) came vividly to life in displays of crops and agricultural products from early Neolithic societies to the early complex societies of Mesopotamia and Egypt, and on to the classical periods of Greece and Rome. Thank goodness we brought our art teacher, because it was exciting to view Unit 8 (Expansion and Interconnection) and Unit 9 (The Modern Revolution) through the lens of artistic achievements. From the carved ivories, enamels, and sculptures of the Middle Ages up to the baroque, romantic, and avant-garde paintings, several centuries of artists carried us to the modern age with a kaleidoscope of great works. Now, to be honest, we didn’t really cover Units 1, 2, and 3, but since the Museum of Natural History includes a planetarium, displays of stars and galaxies, and a hall of chemical elements, we certainly could have—although we’d probably need another day. As far as Unit 10 (The Future) goes… well let’s just say that if you have the means to put a multimuseum visit in your students’ future, you’ll be amazed at the connections between the course we’re studying and the tactile, in-your-face evidence waiting for you at museums all over the country. The traveling exhibition (“Leisure and Luxury in the Age of Nero: The Villas of Oplontis near Pompeii”) in Ann Arbor closed on May 15, 2016. You can catch it if you’re lucky enough to live near Montana State University, Bozeman (June 17 to December 31, 2016) or the Smith College Museum of Art in Northampton, Massachusetts (February 3 to August 13, 2017). But of course, many cities have something similar to offer, so do some research to find exhibits your students can visit and see how many Big History thresholds you can cover in a single day (or two)! Greg, Missed this last year, but what a great idea including the art museum. 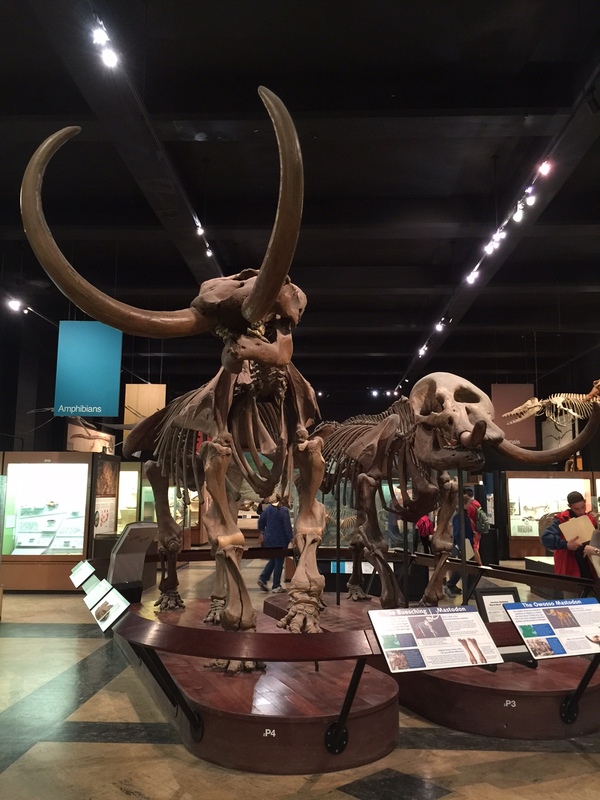 In our fall “Expeditionary Thursday”, we went to the AMNH and looked for evidence of different scales in the planetarium, the Earth room, the dinosaur fossils and the early human room. Including these other dimensions would be amazing! Thanks for the entry.